MondoWindow provides web based, in-flight, location-aware content and entertainment to wifi-connected airline passengers. MondoWindow is a map that tells you where you are and what you’re looking at as you fly; it turns the plane into a geobrowser, availing the passenger of points of interest, audio, video, games, and social interaction from partners in the top tier of each respective content area. The company was founded by Tyler Sterkel, a technologist and museum curator, and Greg Dicum, an interactive producer and journalist. The concept grew out of Greg’s Window Seat books, a series published starting in 2004 that helped airline passengers understand the landscape beneath them. At the time, an in-flight, interactive version of this kind of content was not technologically or financially feasible. That changed in 2010, as onboard wifi began to take off. MondoWindow is the first product for the wifi-connected airline passenger. As such, it leads the disruptive charge in the $6 billion in-flight entertainment (IFE) industry—an inefficient, bloated sector that is the last major consumer media space still largely untransformed by the Internet. 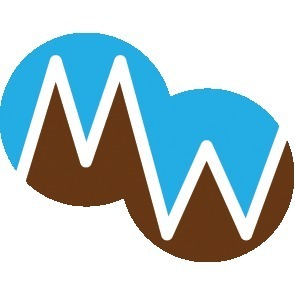 MondoWindow launched a beta at South by Southwest in March 2011. The core technology, for which a provisional patent application has been filed, was developed by Stamen Design, world-renowned leaders in geo-web applications and data visualization. The company launched a Chrome Web Store app in July 2011, and a major redesign of its core product is due in August 2011. In addition to MondoWindow’s technology partnership with Stamen, the company has finalized a deal with JiWire, a specialist in very high value, location-driven ad placements. MondoWindow is currently bootstrapped by the founders plus a small amount of convertible debt from friends and family. The company expects to begin earning revenues from both advertising and partnerships within the next few months, and is seeking only enough outside investment so as to be able to reach that point in a robust and strongly competitive manner. 1) For passengers, MondoWindow presents a new way of experiencing air travel, tying the experience of flight to the reality of the landscape and people below. Being a web-based product, MondoWindow creates opportunities for social interactions and games that web users are accustomed to on the ground, but which are nearly impossible with conventional, unconnected IFE systems. 2) For airlines, MondoWindow is the very first incarnation of a new paradigm of IFE. Web-based IFE avoids the extreme cost, weight, and schedule penalties inherent in conventional, on-board IFE systems. Moving IFE to the web also presents opportunities to monetize IFE, which up until now has been pure cost for airlines -- in fact, IFE systems are the single largest cost of a new aircraft, aside from the airframe itself. 3) For advertisers and brands, MondoWindow presents a new way to reach the most highly valued demographic there is: airline passengers. Until now, advertisers had few options to reach passengers in flight -- the seat-pocket magazine and drink napkins were pretty much the only options. With MondoWindow, advertisers and sponsors can reach these high-value passengers with content tailored to the viewer's destination city, real-time location in the air, time of day, date, and their preferences.